THE HUB Center for the Arts contains gallery spaces, dedicated studio space for the school’s Arts Intensive Program and personal studios for members of The Hub Lab. Committed to innovation and experimentation in art, THE HUB is devoted to contemporary artistic practices, with a balanced network of local and international artists, students, faculty and art professionals working to create relevant visions about art in the world of tomorrow. We believe our Center to be an essential incubator for creativity and a place that encourages the development of the philosophical debate. The center, located in a beautiful 9,000 square foot loft on the top floor of a former factory, is a laboratory working in close connection with the school’s facilities on the 2nd floor. Together, THE HUB and the New York School of the Arts count 22 spaces for creativity, two galleries and 8,000 square feet of educational facilities. THE HUB is sustained by 25 faculty members, over 40 courses in practical and theoretical art study, and 14 spacious areas for learning. Our community is tied together by the desire to develop conceptual thinking, theoretical bases, art history awareness, and criticism. The main gallery is dedicated to the work of international well-known artists along with works by emerging professionals in a broad spectrum of art and culture. Exhibitions will be held year-round. Two galleries, located in the North and South alleys of THE HUB, are dedicated to showcasing projects and proposals for private and public spaces across a broad range of cultural disciplines. 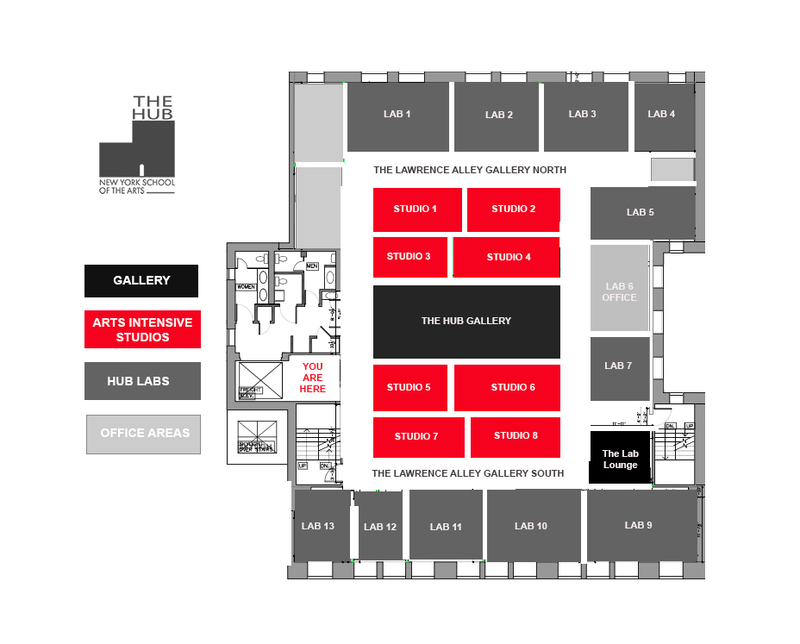 The Lounge is a separate space adjacent to the Lawrence Alley Gallery South. Project Room exhibitions highlight solo and group projects by HUB Lab members and faculty. The Hub containes 13 private studios with wooden floors, natural and state-of-the-arts artificial lights, and high celings that ensure the capacity for the artists needs. Members of the Hub Lab are guaranteed various opportunities of group and select solo shows. We have created a community for sharing ideas and the discussion of the philosophical debate. The New York School of the Arts is dedicated to providing a supportive environment and an education that is directly relevant to the challenges of working as an artist today. Led by Executive Director Maurizio Pellegrin, the Arts Intensive members take part in a dynamic two- or three-year program that provides a supportive environment and an education that is directly relevant to the challenges of a working artist. It focuses on individual development through one-to- one mentoring and practical studio and course work. Each student is provided with his or her own work space. 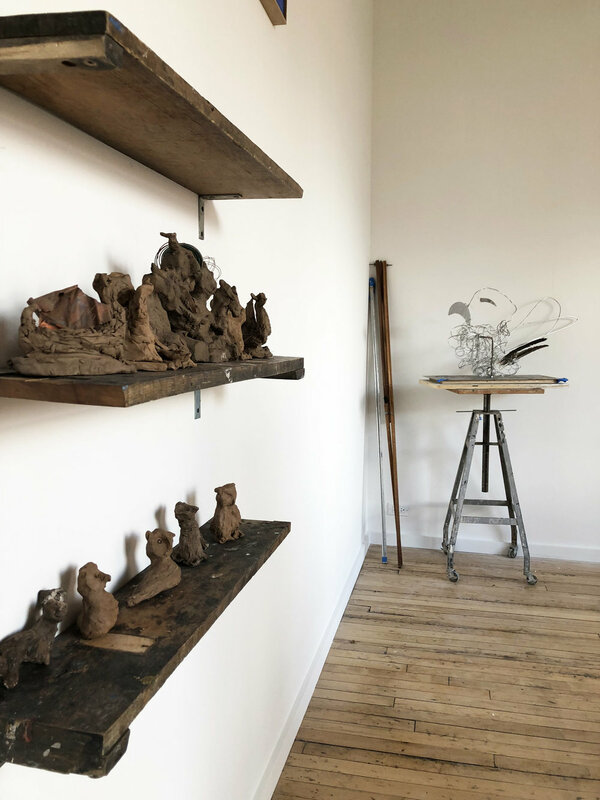 The program also fosters working relationships with professional artists, and provides access to the vibrant contemporary art scene of New York. Special attention is given to portfolio development, critical thinking, and marketing – including the building of a web presence.